North Korean leader Kim Jong-un has invited Pope Francis to visit Pyongyang and South Korean President Moon Jae-in will deliver the invitation when he meets the pope next week, a presidential official said Tuesday. 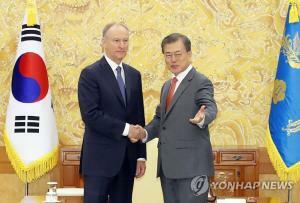 Kim said he will "ardently welcome the pope if he visits Pyongyang." 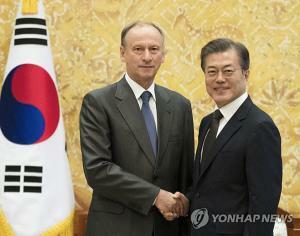 Kim made the comments in September when Moon suggested during their summit in Pyongyang that Kim meet Francis, presidential spokesman Kim Eui-kyeom said in a press briefing in Seoul. Some 60 percent of bank services and products, including deposits and lendings, are processed online, regulator's data showed Wednesday, indicating a trend for non-face-to-face financial services. Records provided by Financial Supervisory Service to Rep. Lee Hack-young of the ruling Democratic Party showed that, of the 11.69 million banking services and products handled between 2016 and the end of June this year at four major commercial banks, 7.19 million cases were carried out through Internet or mobile platforms, accounting for 61.1 percent. Daesang Co., South Korea's major ready-made kimchi producer, said Tuesday its sales in the third quarter rose 11 percent on-year as consumers turned to packaged kimchi amid sky-high cabbage prices.Rising prices of the pickled side dish's key ingredient, coupled with low inventory of its products, led to increased consumer demand, the company said. The producer price index of agricultural products jumped a whopping 18.3 percent on-month in August -- the largest hike since September 2010 -- as the output was hit this summer by the record-breaking hot spell, central bank data showed. Pope Francis will meet with President Moon Jae-in in the Vatican next Thursday.Greg Burke, the director of the Holy See’s Press Office said in a statement on Tuesday that the pontiff will receive Moon at noon on October 18th.The director added that Vatican Secretary of State Cardinal Pietro Parolin will preside over a “Mass for Peace" to pray for the Korean Peninsula, in Rome's St. Peter’s Basilica at 6 p.m. next Wednesday, in which President Moon will participate. A former deputy head of the International Atomic Energy Agency(IAEA) has called for a "full declaration on all tests" from North Korea as Pyongyang has promised to allow inspectors into its key nuclear test site in Punggye-ri.Speaking to Radio Free Asia, Olli Heinonen, former Deputy Director General of the IAEA, said that if the inspections are held properly, it will be important progress in the denuclearization process. The police have arrested a Sri Lankan national as part of the investigation into an explosion that occurred at an oil storage facility in Goyang, Gyeonggi Province on Sunday. The police said the 27-year-old Sri Lankan is believed to have accidentally caused the fire by releasing a sky lantern which he picked up near the oil storage facility. The Goyang Police Station said it will request an arrest warrant for the Sri Lankan construction worker who is known to have admitted to most of the charges. U.S. President Donald Trump said Tuesday that he will hold a second summit with North Korean leader Kim Jong-un after the U.S. midterm elections slated for early next month. "It'll be after the midterms (on Nov. 6). I just can't leave now," Trump said as he flew to Iowa for a political rally. As for the venue, Trump said earlier that three or four locations are being considered for the upcoming summit. Speaking to reporters at the White House, he said Singapore -- the site of their first summit in June -- was unlikely. The date, he said, "won't be too far away." North Korea and China have discussed cooperation in the sports sector, the North's state media said Wednesday, in the latest sign of improving ties. "There was an exchange of views on interchange and cooperation between the sports sectors of the DPRK and China at the People's Palace of Culture on October 9," the Korean Central News Agency (KCNA) said in English, using the acronym for the North's official name, the Democratic People's Republic of Korea. The meeting was attended by Kim Il-guk, the North's culture and sports minister, and his Chinese counterpart Gou Zhongwen, who is leading a delegation of athletes and sports officials to Pyongyang, according to the KCNA. A well-known North Korean defector said Tuesday that he hopes Pope Francis will pray for North Korean leader Kim Jong-un if the two men meet. Ji Seong-ho, who rose to prominence after being invited to U.S. President Donald Trump's State of the Union speech this year, was commenting on news that Kim had invited the pontiff to visit Pyongyang. "I am for the pope's visit to North Korea. I don't oppose that," he said during a forum here. "But I would like the pope to pray for the god known as Kim Jong-un. I would like the North Korean people to see the pope lay his hand on Kim's head and pray for him. That would be very meaningful." US President Donald Trump said Tuesday that he will hold a second summit with North Korean leader Kim Jong-un after the US midterm elections slated for early next month. "It'll be after the midterms (on Nov. 6). I just can't leave now," Trump said as he flew to Iowa for a political rally. As for the venue, Trump said earlier that three or four locations are being considered for the upcoming summit. Speaking to reporters at the White House, he said Singapore -- the site of their first summit in June -- was unlikely. The date, he said, "won't be too far away." With North Korea and the US alike hailing the progress that was achieved during US Secretary of State Mike Pompeo’s fourth visit to Pyongyang, the previously slow-moving talks aimed at achieving North Korea’s denuclearization are now gaining momentum. Pompeo said he and North Korean leader Kim Jong-un had made “significant progress” toward an agreement for the North to give up its nuclear weapons program, and that he expected further progress after a second summit between Kim and US President Donald Trump. 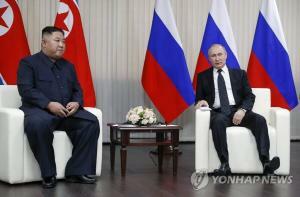 North Korea’s Vice Foreign Minister Choe Son-hui met with officials from Russia and China on Tuesday in an apparent effort to have the North’s Cold War ally on its side amid the ongoing negotiations with the US over its nuclear weapons program. Choe, who has participated in denuclearization talks with the US, met with her Russian counterpart, Igor Morgulov, in Moscow on Monday. A trilateral meeting among Choe, Morgulov and Chinese Vice Foreign Minister Kong Xuanyou was scheduled to take place Tuesday. Choe discussed the situation on the Korean Peninsula with Morgulov, who is in charge of Northeast Asian affairs, Russia’s Foreign Ministry said. The officials also reached an agreement to strengthen coordination on security in the region, it added. U.S. President Donald Trump said his second summit with North Korea's Kim Jong Un will have to wait until after next month's midterm elections. Trump tells reporters traveling with him to a rally in Iowa that he doesn't have time for a foreign trip as he's crisscrossing the country holding rallies to try to boost Republican turnout in November. He tells reporters aboard Air Force One, ''I just can't leave now.'' 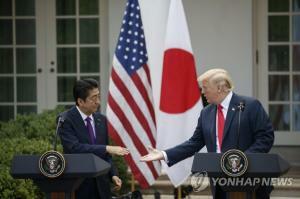 (AP) 'Three or four locations being considered' Trump said Tuesday that three or four locations are being considered for his upcoming summit with North Korean leader Kim Jong-un. North Korean leader Kim Jong-un will invite Pope Francis to the communist nation's capital Pyongyang, promising a "fervent welcome" during the papal visit, Cheong Wa Dae said Tuesday. In a briefing, presidential spokesman Kim Eui-kyeom said Kim's invitation would be delivered to the Pope when President Moon Jae-in visits Vatican City. Moon is expected to visit the Vatican on Oct. 17-18, part of a nine-day European tour starting Oct. 13. The 2018 PyeongChang Winter Olympics posted a surplus of 61.9 billion won ($55 million), Lee Hee-beom, former head of the organizing committee, said. At an International Olympics Committee (IOC) session in Argentina, Tuesday (KST), Lee submitted a final report on the achievements and finances of the Games, held from Feb. 9 to 25 in the South Korean city. "Thanks to support from the government and the IOC, donations and well-planned spending, the PyeongChang Olympics achieved a surplus of at least 61.9 billion won, brushing off initial concerns that the event would make a loss of 300 billion won," he said. President Moon Jae-in will deliver an invitation from North Korean leader Kim Jong-un to Pope Francis when Moon meets the pontiff meet later this month, Cheong Wa Dae said Tuesday. Moon will pay an official visit to Italy on Oct. 13-18 and the Vatican on Oct. 17-18 and hand over the invite, according to presidential spokesman Kim Eui-kyeom. During his visit to Pyongyang last month, Moon told Kim Jong-un that the pope has a keen interest in peace and prosperity on the Korean Peninsula, the spokesman added. Hangeul or the Korean alphabet is enjoying newfound popularity for labels and store signs. At the start of globalization, English or French words were heavily favored over indigenous Korean shop names and labels as they were deemed more exotic and sophisticated. But that has changed, and now Hangeul is considered cooler both at home and in other parts of Asia. This is mainly due to young people who have embraced Korean pop culture. Food supplies remain dangerously low in North Korea, where nearly 40 percent of the population is still suffering from malnutrition. The UN's food agency said on Tuesday that more than 10 million North Koreans are undernourished and need humanitarian aid. North Korean leader Kim Jong-un invited a team of inspectors to confirm that the nuclear test site at Punggye Village, Kilju County, North Hamgyong Province, had been irreversibly dismantled, the US State Department announced on Oct. 7. On May 24, North Korea invited reporters from five countries (South Korea, the US, China, the UK and Russia) to Punggye Village to attend the demolition and dismantlement of the nuclear test site located there, but there was criticism from conservatives in South Korea and the US that this was a charade and a fraud. At 7 am on Oct. 7, US Secretary of State Mike Pompeo left Tokyo bound for Pyongyang. At 5:13 pm of the same day, he touched down at Osan Air Base, a US Air Force base in South Korea. Considering that it takes over two hours to fly from Tokyo to Pyongyang and over an hour to fly from Pyongyang to Osan, Pompeo was in Pyongyang for less than seven hours.Nevertheless, Pompeo spent a little over five and a half hours with North Korean leader Kim Jong-un – two hours in a morning meeting, an hour and a half at lunch and two hours in an afternoon meeting. Excluding the time it takes to drive from Pyongyang Sunan International Airport to the Paekhwawon Guest House and back again, Pompeo spent basically his entire time in North Korea with Kim. The South Korean military has decided to dismantle 13 anti-tank defenses in Gangwon and northern Gyeonggi provinces. Anti-tank defenses are concrete structures on the roads that are meant to prevent North Korean armies from moving south in case of a war. According to a report that looked into how many anti-tank defenses have been dismantled in the past six years from 2013 to 2018, 13 anti-tank defenses are scheduled to be dismantled this year alone. Six anti-tank defenses (one has already been dismantled) will be dismantled in Yeoncheon, Gyeonggi Province, three in Paju, two in Hwacheon, Gangwon Province, one in Pocheon, Gyeonggi Province and one in Yanggu, Gangwon Province. The report was submitted on Tuesday by the Joint Chief of Staff to Rep. Lee Jong-myung, a member of the National Assembly Defense Committee. North Korean leader Kim Jong Un met with U.S. Secretary of State Mike Pompeo on Sunday and reportedly said that declaring an end to the Korean War does not have to be the only corresponding measure the U.S. needs to take in exchange for giving up nuclear weapons. 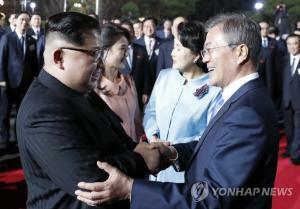 A South Korean high-ranking official said on Tuesday that what Pyongyang basically wants is to improve its relations with Washington and it proposed declaring an end to the Korean War as a key measure in doing so. “North Korean leader Kim Jong Un said that he is willing to accept other measures that can bring exchanges between North Korea and the U.S. if declaring an end to the Korean War cannot be done immediately,” he added. In this regard, when Kim met with Pompeo, the young leader agreed to allow outside inspectors into Yongbyon nuclear complex and missile engine test sites in Tongchang-ri. Once international inspectors stay in North Korea, official exchanges of human resources and goods between the two countries would begin and sanctions relief could be considered for the North. The massive blaze that burned through an oil tank at a gasoline storage station in Goyang, Gyeonggi, on Sunday was caused by a sky lantern released by a Sri Lankan construction worker, said police on Tuesday. The Goyang Police Department said it arrested the 27-year-old Sri Lankan man on Monday after surveillance footage from Sunday morning showed him releasing a sky lantern from a nearby tunnel construction site where he worked and following it a distance of 300 meters (984 feet) to the storage station. The lantern landed on a patch of grass close to an outdoor oil tank, and footage shows the man running away from the scene after witnessing the grass catching fire. Even as international sanctions continued to mount on North Korea, and fears rose of massive shortages, the price of rice - the nation’s staple - remained stable. Analysts familiar with recent economic changes in the North offer an explanation. Prices remained stable, they suggested, because wealthy retailers controlled supply by releasing their inventory of such goods onto the market. These entrepreneurs, known in Korean as the donju, which loosely translates as “masters of money,” are said to be the invisible hand of the North’s growing economy - working for both profit and stability. The International Monetary Fund (IMF) lowered its outlook for Korea’s economic growth this year and next, citing trade tensions between the world’s two largest economies, slower momentum in global trade and financial turbulence in emerging countries. In its world economic outlook (WEO) released Tuesday, the IMF cut its growth forecast for this year to 2.8 percent from 3 percent. Next year’s projection was reduced to 2.6 percent from 2.9 percent. The report painted grimmer prospects for the overall global economy this year and next, trimming its predictions by 0.2 percentage points each to 3.7 percent for both years. 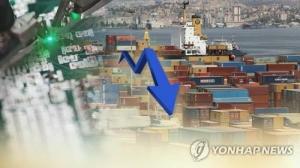 A series of alarms have gone off signaling the weakening competitiveness of South Korea's major export products. On October 7, the Korea International Trade Association (KITA) released a report, "A Diagnosis of Competitiveness in Automobile Exports," and announced that the growth of automobile exports had continued to slow since 2011. According to the report, exports dropped 6.8% compared to last year as of July this year, and market share also dropped from 5.6% in 2013 to 4.6% in 2016. Our ranking in the world market also dropped from fifth to eighth. The bigger problem is that the outlook is not bright. According to the preliminary performance by Samsung Electronics and LG Electronics released on October 5, the competitiveness of South Korean smartphones is also weakening. Samsung smartphones are losing in the competition with U.S. and Chinese products and LG smartphones are in a worse situation. In addition, export products, such as steel, ships and display panels also continued to perform poorly. The semiconductor and petrochemical boom is covering the lack of performance in exports. Will the National Assembly Discuss the National Security Act Amendment Suggested by Lee Hae-chan? Democratic Party of Korea leader Lee Hae-chan (66) suggested the need to revise the National Security Act in order to implement a peace system between North and South Korea. The leader of the ruling party publicly put the amendment of the National Security Act on the table for public debate in line with the move toward peace on the Korean Peninsula.Some experts believe that discussions on the revision of the security act may resume fourteen years after it was canceled due to the opposition of the Grand National Party (current Liberty Korea Party) at the end of 2004 during the Roh Moo-hyun government. Kakao Mobility, the smart call-taxi wing of South Korea's web service giant Kakao, forged a business alliance with EnGIS Technologies, a domestic software development company, to develop software for connected car navigation.Kakao Mobility said in a statement Monday that the two companies would work together to launch an in-vehicle infotainment (IVI) service platform. IVI is a collection of hardware and software in automobiles that provides audio or video entertainment.Kakao runs its mobile navigation app Kakao Navi, and EnGIS provides software solutions to auto and consumer electronics firms. SK Innovation, a subsidiary of South Korea's third-largest conglomerate SK Group, has set up a wholly owned subsidiary in China to build a plant for key components of electric vehicle batteries.The company said it would invest some 400 billion won ($353 million) in the plant in Changzhou in China's southeastern Jiangsu province to produce lithium-ion battery separators and ceramic coated separators. Construction is to begin in early 2019 for completion in the third quarter of 2020. North Korean leader Kim Jong-un expressed his belief that a "good program" would be made soon for his second summit with U.S. President Donald Trump, citing a "positively developing" situation on the Korean peninsula, according to Pyongyang's official news agency.At talks Sunday with U.S. Secretary of State Mike Pompeo in Pyongyang, Kim expressed his "will and conviction" that great progress would surely be made in solving the issues of utmost international concerns, the Korean Central News Agency (KCNA) reported on Monday. South Korea’s LG Electronics Inc. will launch its new flagship smartphone model V40 ThinQ next week in the United States, prior to the official release in its home turf Korea. LG Electronics said Tuesday it would start receiving pre-orders for the upcoming smartphone model on October 11 to 12 in the U.S. via the country’s major wireless carriers like T-Mobile and Verizon for its launch on October 18 to 19. The 128-gigabite (GB) version of the new phone is priced at $920 to $980. The Korean tech giant decided to unveil its new flagship smartphone first in the U.S., considering competitions with its peers including Apple and Google. Apple has already released its new iPhone XS model in the country, and Google also is planning to launch its Pixel 3 smartphone on Tuesday (local time) in New York. The International Monetary Fund (IMF) downgraded its growth outlook for South Korea for this year to 2.8 percent from 3.0 percent with concerns about negative effects from escalating trade tensions between the United States and China and volatile financial markets of emerging economies. The IMF also revised down its growth forecast for the country for next year to 2.6 percent, down 0.3 percentage point from its earlier estimate. Hanwha Asset Management Co., a brokerage unit of South Korean conglomerate Hanwha Group, will delist three of its exchange-traded fund (ETF) products from the country’s stock index next month, the operator said on Monday. According to Korea’s sole stock exchange operator Korea Exchange, Hanwha Asset Management will delist three ETF products - Arirang Kospi 100 Equal Weighted, Arirang S&P Korea Dividend Opportunity, and Arirang Smartbeta 4 Factor - on Nov. 12 due to a decrease in trust principal capital. The last trading day for the three ETF products will be Nov. 9 and investment trust termination payments will be issued on Nov. 14.